hi, there, about one month ago, i start working on the aeropad again. and, now, it is ready to use, but still with debuging missing. 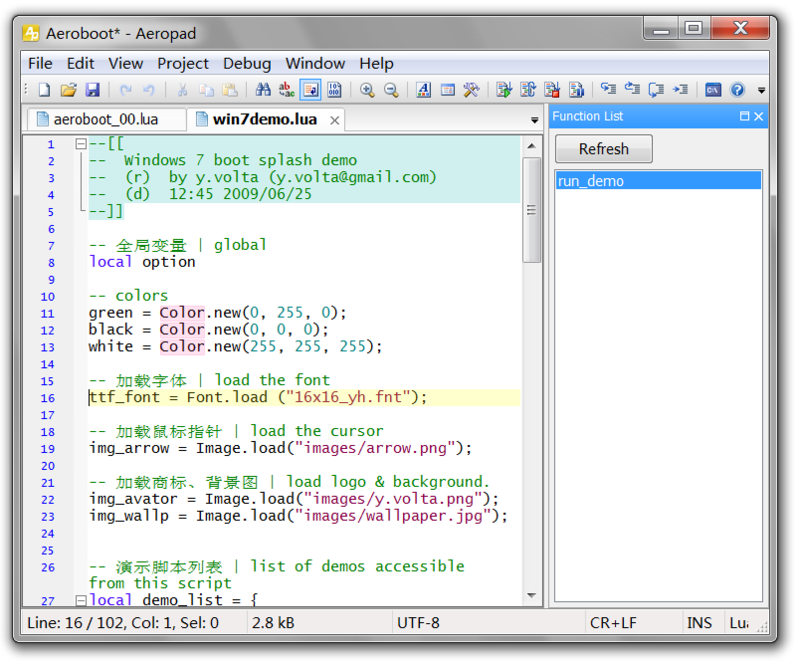 it is designed as aeroboot's script editor & debuger. new stable version is available for download. the link is one the #1 post on this thread. and next, it should be the debug stub. later, i'll post a guide to how to use Aeropad & Aerosim to develop a funny graphic boot menu.